The Blackcoat’s Daughter tells the story of two girls, Katherine and Rose, who stay at their boarding school over Winter break while all the other students go home. When mysterious things begin to happen, it appears as though the girls may not be alone. Meanwhile, a girl named Joan is making her way towards the boarding school from a few towns away as things build to a terrifying climax. 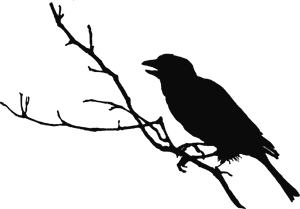 The moment this movie opens you already feel like you’re in a place you aren’t supposed to be in. 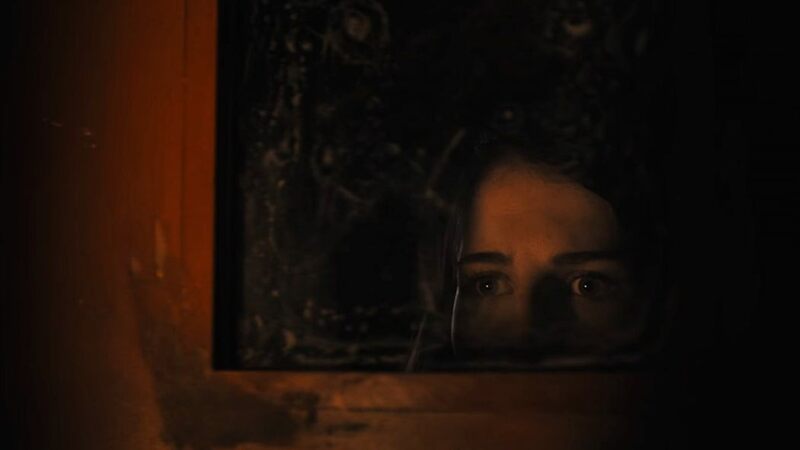 The Blackcoat’s Daughter drips with a cold and eerie tone right from the opening frame and creates a disorienting atmosphere with wonderfully simple yet effective camerawork. Many shots are very still, close, slightly off center, a little skewed and obstructed…and all have a touch of subtle shifting blurriness in backgrounds and foregrounds. Characters and objects appear on the edges of the frame, half in or half out of view. There are a lot of doors, almost in every scene, and a lot of mirrors appear on screen. 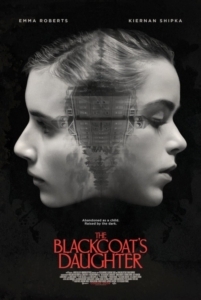 The whole theme of The Blackcoat’s Daughter is that of an evil fun house filled with reflections and dark openings. Simply put, it’s a cold, snowy, very dark and very beautiful film. Kiernan Shipka simply blew me away with her performance as Katherine. With her hair pulled back and up in braids, she appears intensely proper. At the same time, the labored body language of her small frame coupled with her slow, quiet speech pattern suggests a lonely and shy girl. In short, she’s a fragile powder keg. With her physical choices, Shipka does incredible work in this film. Her face and eyes move with swift and seamless ease, changing from a blank, innocent expression to a mischievous smile in a way that recalls Anthony Perkins as Norman Bates in PSYCHO. Yes, she’s THAT good. The simultaneous emotional depth and emptiness portrayed by all 3 leads is simply astounding. Shipka, Emma Roberts and Lucy Boynton all perfectly embody and reflect the tone and feeling of the film. James Remar and Lauren Holly (who hasn’t aged a day in 20 years) round out the impressive performances, with Holly delivering a truly chilling, mid film monologue. 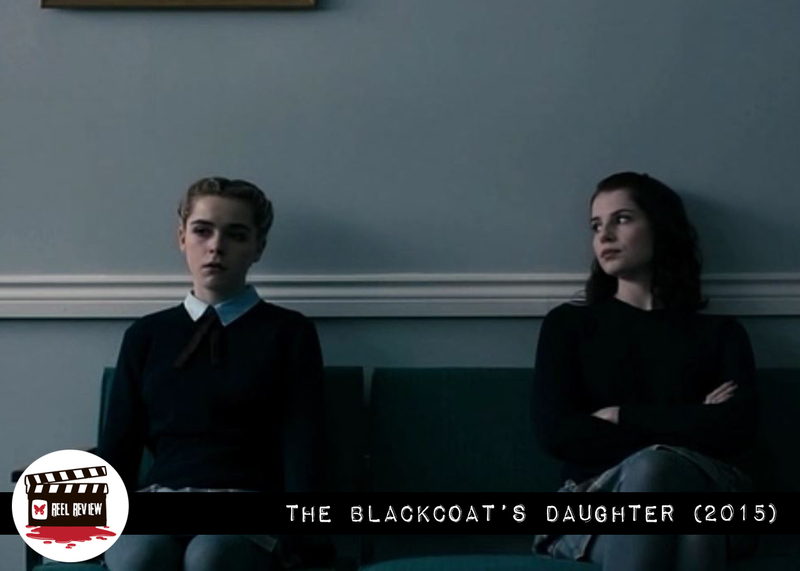 The Blackcoat’s Daughter is as perfect as a film gets. A bold statement, I know, but I can’t stop thinking about this movie and how everything within it worked so well together. The bleak, unsettling and powerful music, the steady pace that expertly builds the story and mystery with each passing scene, the powerful and haunting performances (especially Shipka), and the creepy tone had me thoroughly engrossed in every moment. In my opinion, THE BLACKCOAT’S DAUGHTER is a modern classic that should be seen by all fans of horror, especially those under the misconception that the genre is in an anemic state. Writer and director Oz Perkins has masterfully created something wonderful and scary and memorable. See this movie.